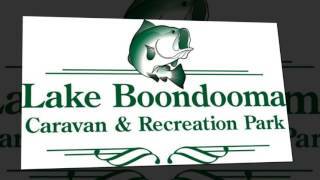 Peaceful Lake Boondooma is paradise for anglers, campers, bird watchers and water sports enthusiasts. The 1,900 hectare dam was purpose-built across the Boyne River in 1983 to provide a water supply to the Tarong Power Station. 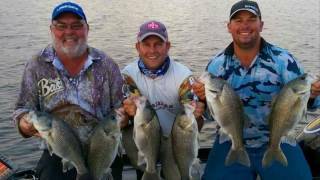 A mix of 200,000 golden perch (yellowbelly), silver perch and Australian bass fingerlings are released annually into the dam, making it one of the most popular and consistent inland camping and fishing spots in South East Queensland. 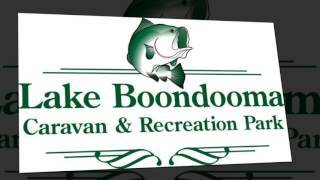 Sign up for the Boondooma Fishing Competition held each February or try your skill at numerous freshwater catch and release tournaments during the year. 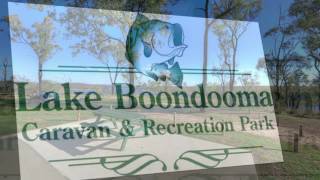 Lake Boondooma Caravan and Recreation Park, on the foreshores of the dam, offers caravan and camping sites, a bunkhouse and cabins along with tennis courts, modern amenities blocks, a kiosk and landscaped picnic and barbecue areas. You can see one of the oldest settlements in the area, just a short drive away at Durong. Historic Boondooma Homestead (circa 1850) and a cluster of historical buildings have been authentically restored and are open daily.